Dr Larmour has a Masters Degree in Dental Implantology from Sheffield University. assessment and examination are essential. Implants are a simple and effective treatment that can be done with a local anaesthetic allowing the patient to go home that day. The process is usually a 2 or 3 stage process. The initial (surgical) stage involves placement of the implant. The gum is then closed over and the implant is allowed to integrate into the bone for the next 3 to 6 months. During this healing phase the patient can wear their own denture or a temporary bridge to prevent walking around with any embarrassing spaces. The next stage involves uncovering the implant and sending information to the laboratory technician so a crown or denture can be fabricated, tailored to your needs.The final stage involves connection of the new tooth or denture to the implant. 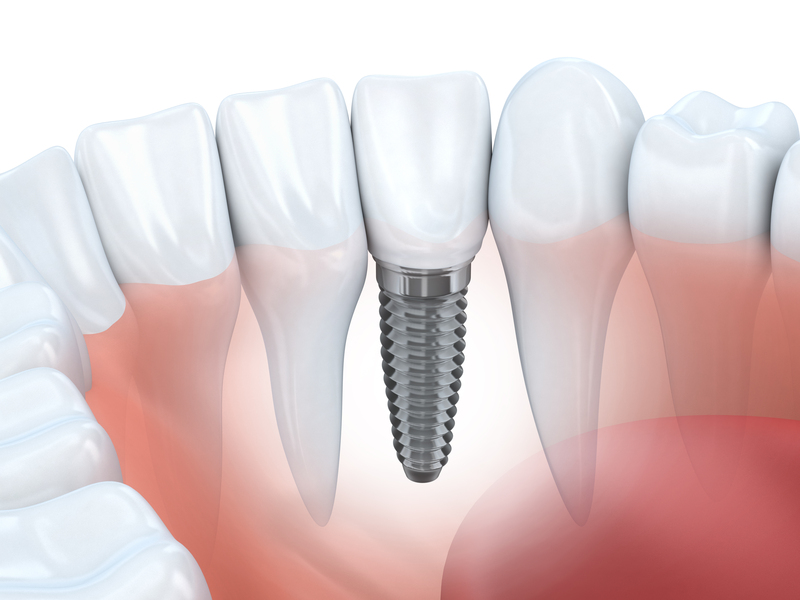 Implants can be used to replace single or multiple teeth. They can also be used to hold in loose dentures. Ask in surgery for more information or book in for an implant assessment.